Not only did it happen again, it happened, sadly, the exact same way it did the first time. 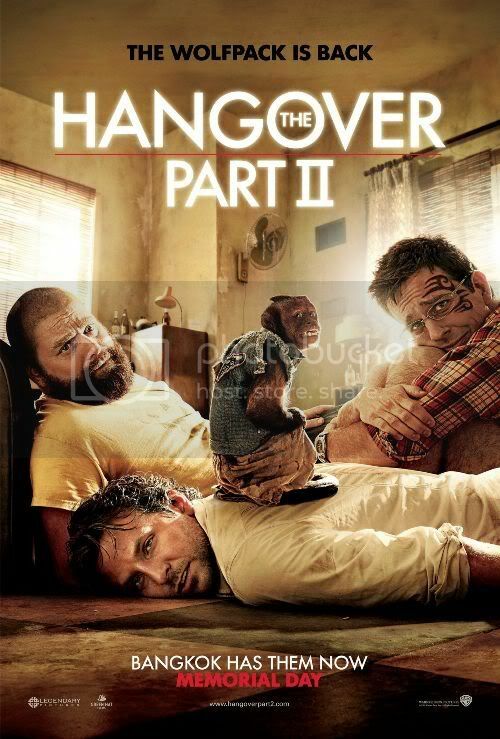 THE HANGOVER PART II, this summer’s hotly anticipated sequel to the surprise 2009 hit, THE HANGOVER, picks up two years after the original, with the impending wedding of Stu (Ed Helms) to Lauren. Phil (Bradley Cooper) is still handsome. Alan (Zach Galifianakis) is still annoyingly childish. Doug (Justin Bartha) is still just a throw-in character. The entire gang hops on a plane and heads to Thailand, where Lauren’s family is from, to celebrate the nuptials and here come the shenanigans! Just like last time! Exactly like last time! There’s not much need to go into detail over the plot, because it’s pretty much non-existent. What director Todd Phillips has done is very loosely strung together a series of outlandish events without regard to story arc or character growth. 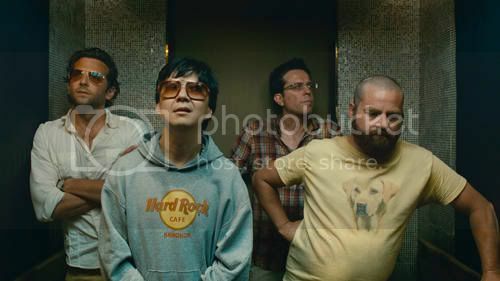 In the original film, you were given a group of guys, loosely connected and the humor sprang not just from the nonsensical situation, but in the way the characters got to know each other and grew as a group. The sequel has none of that charm. There are no surprises. We’ve seen it all before, and the problem with shock humor, once you’ve seen it, it’s not quite as shocking. The most important part of a movie is suspension of disbelief. No matter what universe you create for your characters to live in, there must be rules and those rules must be adhered to or your audience won’t believe what you’re telling them. I think that’s my biggest issue with this movie. There are no rules. There is no baseline for reality. Characters are tattooed, shot, dismembered and by the end of the movie, it’s all shrugged off with a song and dance number from Mike Tyson. If you were a fan of the first movie, my advice is to watch it again because in the sequel, the lines aren’t delivered convincingly, the jokes fall flat and the surprises are all predictable. It’s worse than an actual hangover. Agree 100%. Big part of the charm of the first one was that it was unexpected. Not with this one. its completely cut copy paste stuff. similar to the first part. i guess only Ken saved the film other then that nothing really worked at all!!! !